We will have new shirts and water bottles available for purchase at the April meeting. The shirts are $20 and are available in sizes small through extra large (men’s sizing). The water bottles are $10 and are stainless steel with a black logo. Purchase a shirt and a water bottle for $28! We will accept cash and PayPal. 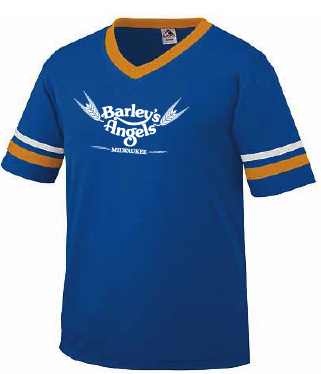 Any questions, email us at info (at) barleysangelsmke (dot) com. This entry was posted in Uncategorized on April 4, 2015 by barleysangelsmke.